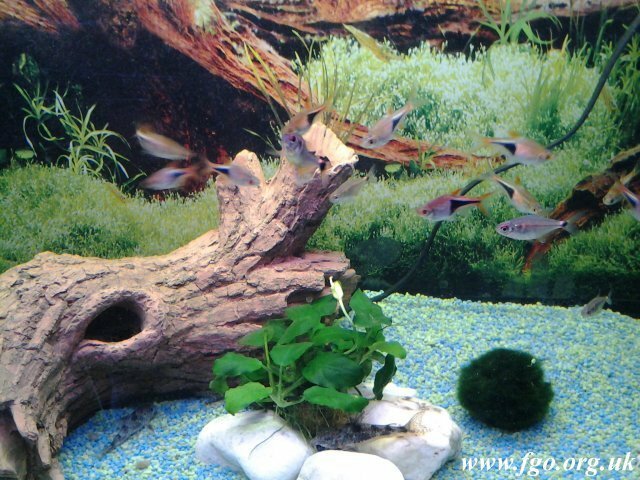 I have noticed when browsing the internet that there is some doubt whether or not there are any underwater flowering plants for aquariums. I have Anubias plants in both my my aquariums, here are two pictures of them flowering. It is a hardy plant that has lush green arrow shaped foliage. This rosette plant may reach up to 16 inches in width and has thick, creeping rhizomes. 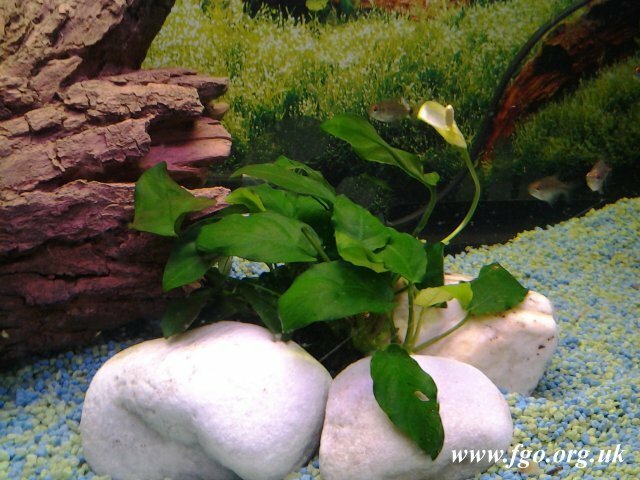 This variety of Anubias barteri is an amphibious form that will survive either totally or partially submersed.